Meet with manager Thomas Green who recently moved to Lakey Wolff & Co.! Clients can be seen in Amazon's The Marvelous Mrs. Maisel, HBO's Succession, FX's Pose, HBO's Divorce, The Deuce with James Franco, Westworld, The Blacklist, Daredevil, Orange is the New Black, Jessica Jones, Law & Order: SVU, Mr. Robot, Blue Bloods, and ABC's Quantico. 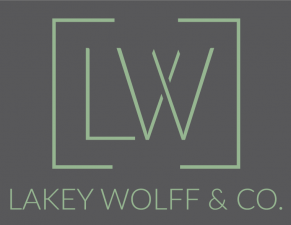 With 30 combined years in the arts & entertainment field Lakey Wolff & Co. represent artists from theatre, film television and dance. Clients can be seen on Broadway: Hamilton, Mean Girls, Frozen, Once On This Island, My Fair Lady, The Cher Show. National Tours: Hello Dolly, Charlie and the Chocolate Factory, Waitress, Anastasia, Beautiful: The Carole King Musical, On Your Feet, Phantom of the Opera. Upcoming: Jagged Little Pill, Magic Mike Live and Moulin Rouge. TV/Film: Succession (HBO) The Marvelous Mrs. Maisel (Amazon) Pose (FX) Russian Doll (Netflix) High Strung: Free Dance. Commercial: AT&T, T-Mobile, Sony, Carl's Jr., Kipling and many more.